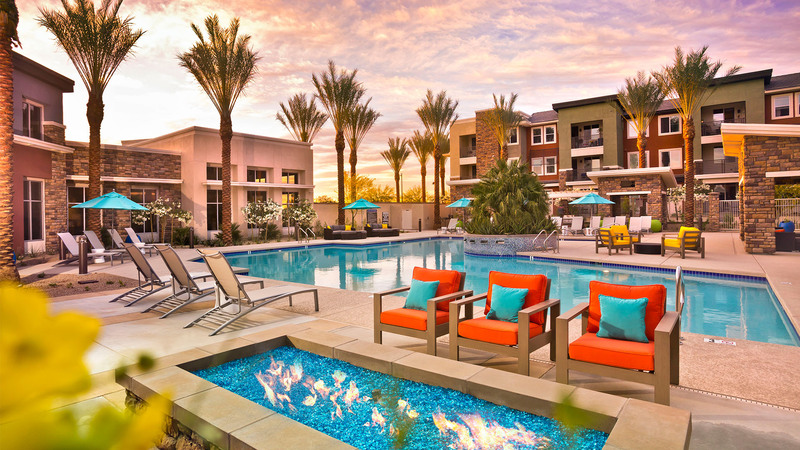 Avion on Legacy in N. Scottsdale offers new one, two and three bedroom apartments. Next to Henkel and near The Promenade and Kierland Commons. Brand New â Move in Today! Fees are excessive. Poor insulation between Apts. Very noisy. My neighbor walking all night in the apt above me, is a deal breaker. Security is lax for a gated community. Very few guest parking. Trash area problem, parking problem, noise of slamming garage doors, apartment doors and thinness of floors above us allows us to hear all footsteps which is a big problem. I do not believe parking should be an extra expense, especially for uncovered parking. Secondly, tenants should have the option whether to use the trash services or not. The cost should not be implied. Neighbors above me stomp around so it sounds like they have pet baby elephants. New people moving in seem to be younger, louder, and rude. Theres a lot of speeding around the complex. Security is poor. People who do not belong in the facility come in to use the swimming pool area. I think it is a great location and the community grounds are kept in very nice condition. I was happy to see that the buildings and garages were painted. Parking is a huge negative (cannot find a spot and have to park outside gate multiple days a week) it would be nice to have more areas for dogs to play, but the community is so well-kept and nice. Parking situation is a big reason. Also, other residents can be rude and disrespectful. I would recommend this apartment to other People. Thank you for completing the most recent survey! We appreciate your feedback. We would love for you to stay as part of our community for another year. Thank you for being a resident at Avion on Legacy. Great property that is always kept nice and clean. Property is well maintained. No complaints. We hope you continue your residence with us for another year. The location is close and convienent to everything. The complex has great amenities and is very well kept and clean.